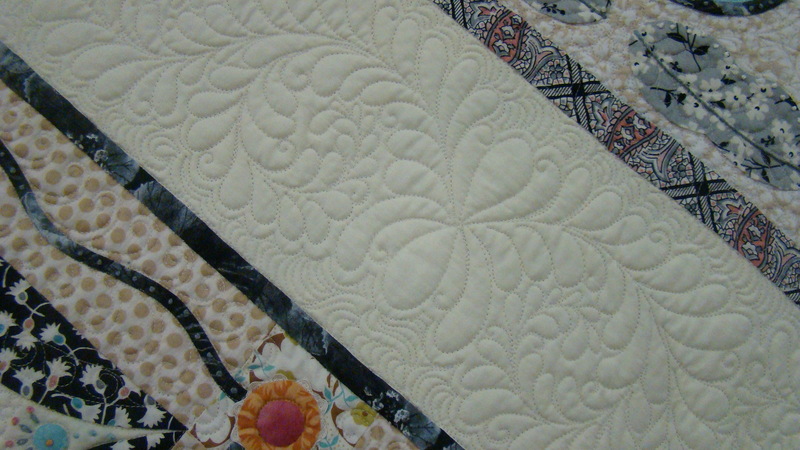 look at the quilting here...isn't it just great! 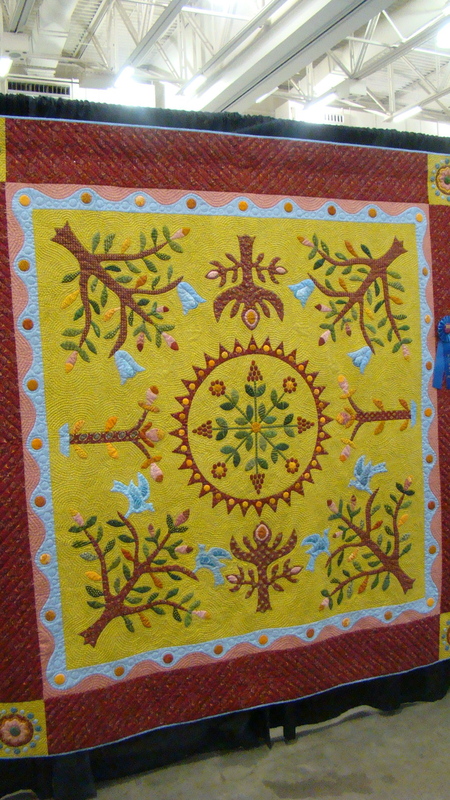 i have made this quilt...why didn't i think of this great border for mine? 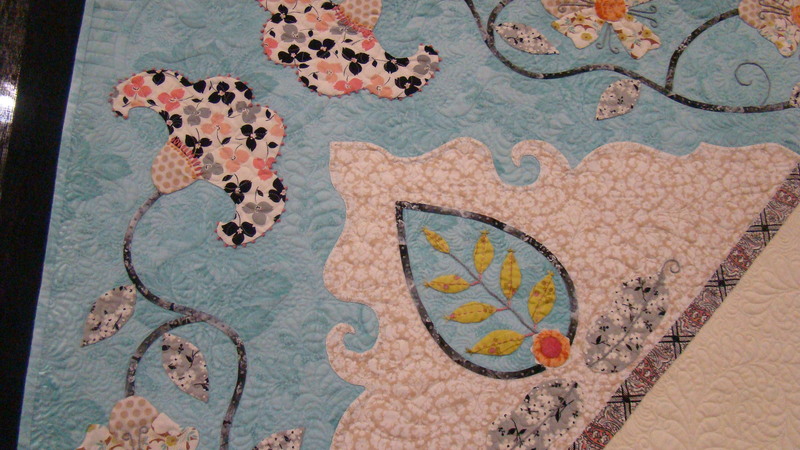 great scrappy quilt...can you see it done maybe with 4" blocks? how sweet would that be? I literally got to spend 15 minutes walking the show before it opened. 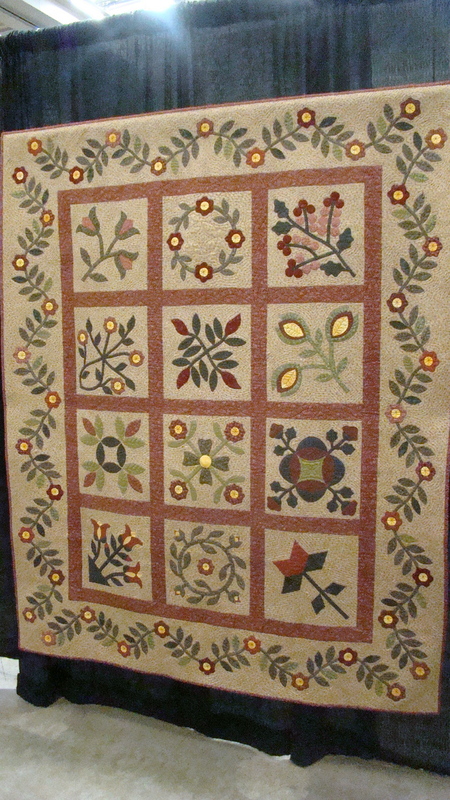 These quilts are inspiration for a lot of reasons, it may be the color schemes, the quilting ideas, the patterns themselves might give you a whole other idea for something else…but here are my photos from the show. 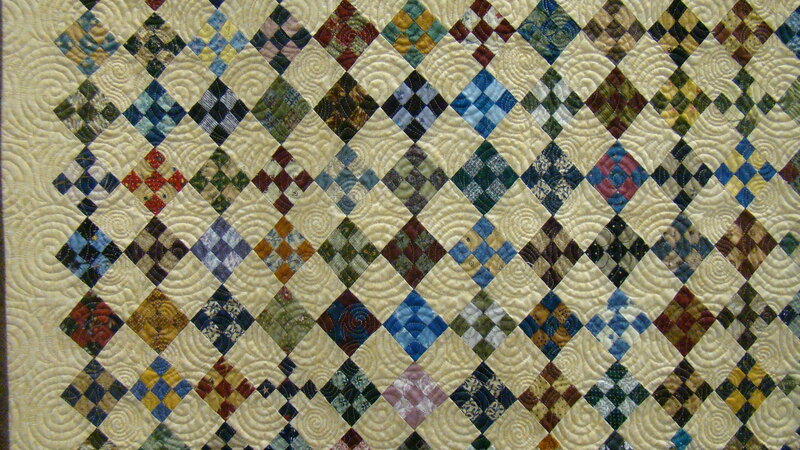 I may not photograph the whole quilt, and like I said I did not have very much time so I did not note who’s quilt was who’s. I am lucky to have the 15 min. to view. thanks so much for sharing.. one can never get enough eye candy and inspiration from others. I hope you are talking about the Merry Christmas pattern…it is very easy and fun to stitch…we used Japanese fabrics for the background and they are amazing to sew with…these pics do nothing for the true look of the hand dyed wools and background fabrics…must see in person to realize how great they are! Lisa, I love those blocks!!!!! 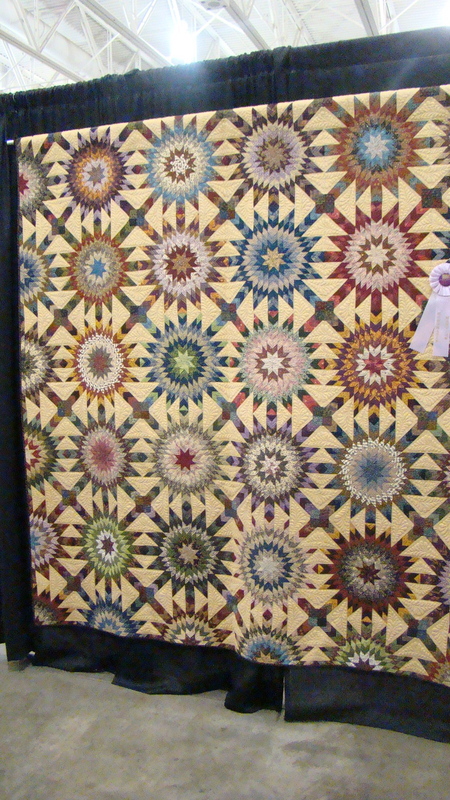 WOW, just WOW on those Madison quilts. Would’ve loved to have been able to attend that show! Will be up to see you next week..can’t WAIT to visit your shop. I had a few minutes while waiting for the dryer to hurry up so I can start packing my suitcase to teach in MN…so I cruised your blog…very nice girl! See you next week! 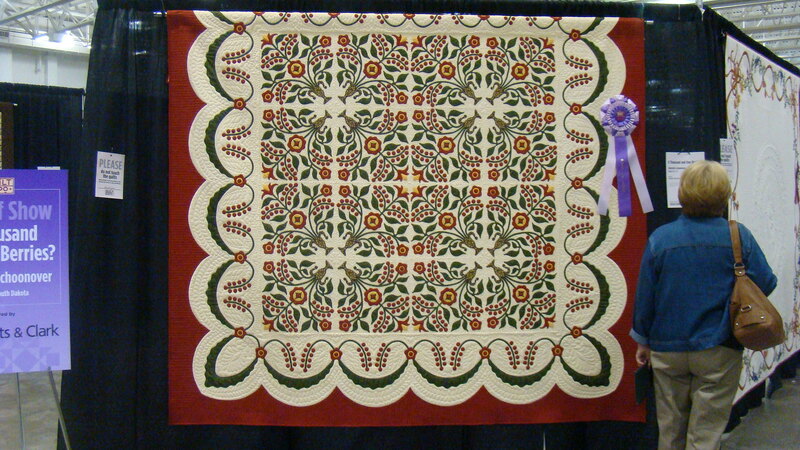 Great quilts in the show…what fantastic quilting… way beyond this girl. Dang, looks like I missed a good show. Gotta get there next year. You are welcome Lisa! Your shop is the best around… bar none! Wow! 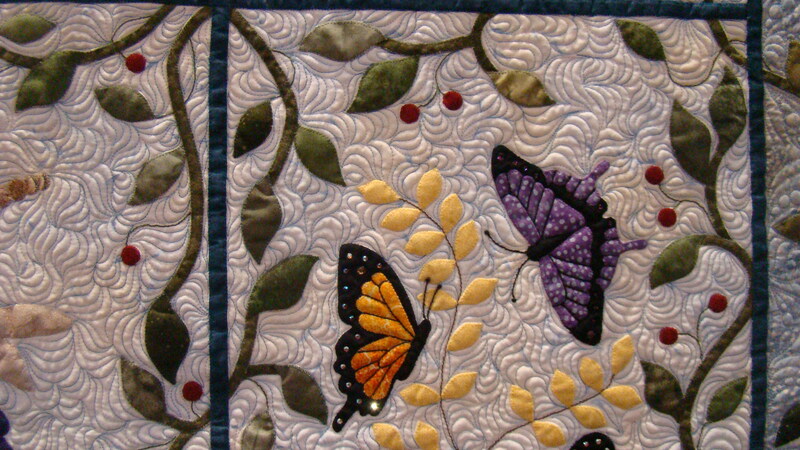 Those quilts are amazing! 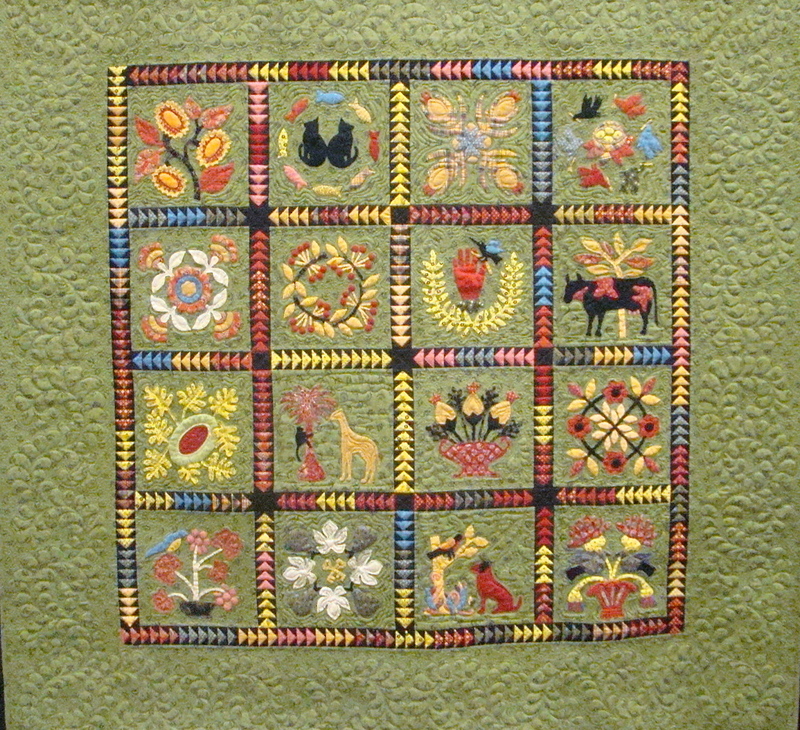 Do you remember the name of the last quilt? 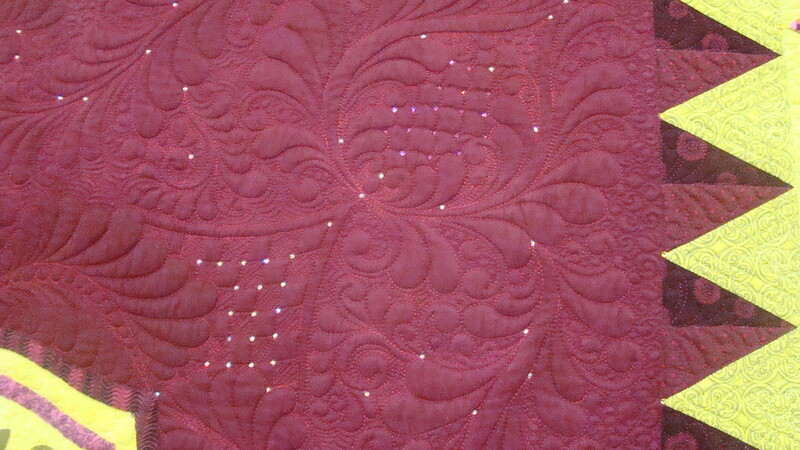 You commented not a beginning pattern, but if you can cut and sew accurate, it can be done. 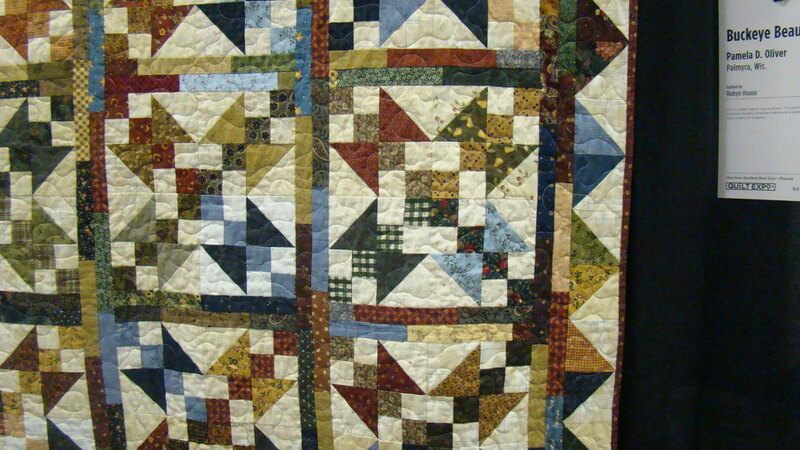 I have never seen that quilt before. 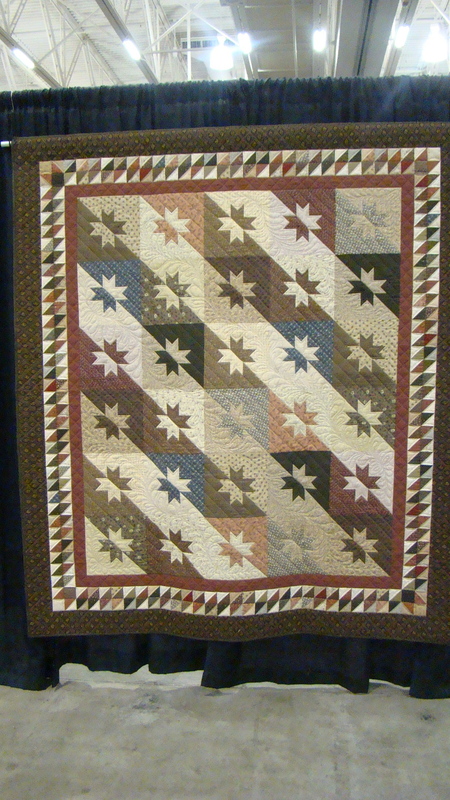 Lisa… what is the name of the pattern of the quilt you made with the unique border that “you hadn’t thought of”…I’m sure yours was just as stunning…Thanks Karen C.